The information contained in this website is for informational purposes only. It does not constitute the rendering of legal or other professional advice or services. Your use of our website does not create an attorney-client or confidential relationship between you and any of the attorneys at our firm. Information on this website should not be relied upon or used as a substitute for consultation with legal, accounting, tax, and/or other professional advisors. Since any electronic communication between you and the firm through this website will not be privileged or confidential, it may be disclosed to other persons and may not be secure. Accordingly, please do not send any e-mail to the Firm that contains confidential or sensitive information without first speaking with one of our attorneys and receiving permission to do so. Links to websites or web pages operated by third parties are provided solely as a convenience to you. Such linked sites are not under the control of our firm, and we are not responsible for the contents of any linked site or any link contained in a linked site. We makes no representation or warranty and assumes no liability or responsibility for other websites or web pages and/or their content. Information contained in this web site may be considered advertising under the Rules of the Supreme Judicial Court of Massachusetts. 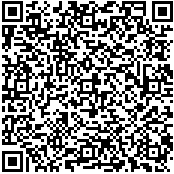 Scan our Quick Response code below with your mobile phone to store our contact information.